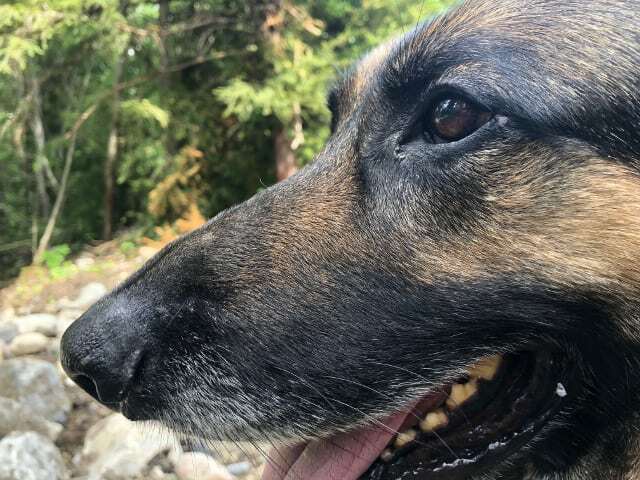 We are so grateful that Wyatt Ray is a healthy nine-year old Tripawd. He’s had his share of odd health issues but bounced back from each one. However last spring we noticed some subtle changes that made us wonder: do healthy dogs need immune system support too? 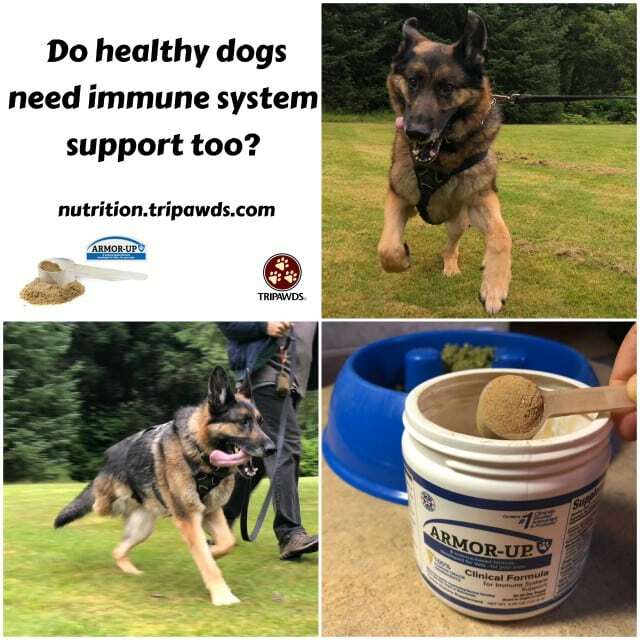 We turned to the immune support experts at K9 Medicinals for some insight. The short answer is yes, all of us can benefit from immune system support, including our pets. 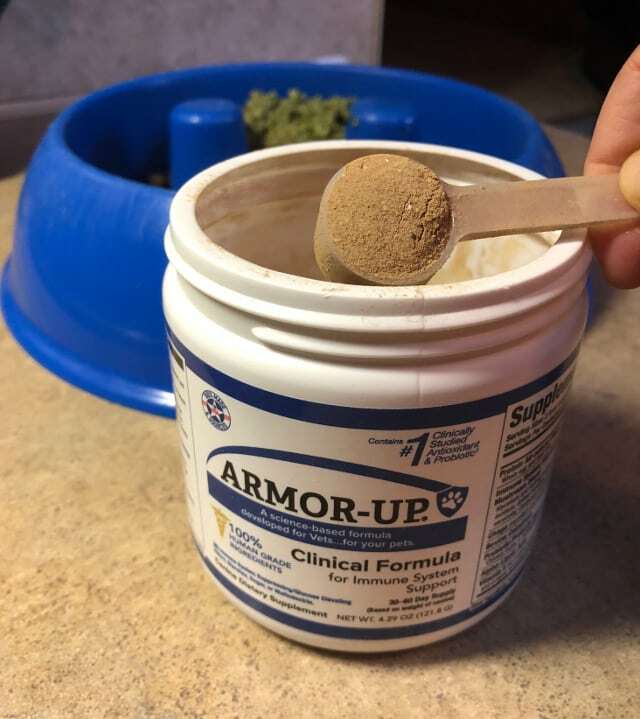 K9 Medicinals recommended Armor-Up®. In exchange for an honest review of how it works for Wyatt we were provided a one month supply. Here’s how it went. It started in April. Each morning Wyatt woke up with eye goop that got gooier as the season wore on. Then we noticed hair loss around his eyes. We wondered: could it be caused by the new all-in-one parasite preventive he’s been taking? Or could it be something worse? Can you see hair loss around his eye? We took Wyatt to an awesome AAHA-accredited veterinarian for a health check before our summer trip to Canada. The vet chalked up the symptoms to seasonal allergies. Benadryl seemed to help occasionally but not always. Our jar of Armor-Up couldn’t have arrived sooner. Here is what we discovered. When the immune system is strong, the body everything it needs to fight disease. But when our immune system is weakened by factors such as poor diet or environmental stressors like household chemicals and outdoor pollution, the body has a tougher time rejecting harmful microorganisms that damage DNA and provoke disease. 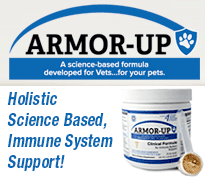 That’s where Armor-Up immune support for dogs comes in. One jar lasts 30 days for big dogs. Help patients rebound from the effects of chemotherapy. Reason #1 why we love Armor-Up: it comes in a powder. One scoop in the morning and one at night are enough to boost a Wyatt’s immune system without force-feeding fistfulls of pills. Each jar of Armor-Up contains a 60 Day Supply for dogs weighing under 10 lbs or a 30 Day Supply for bigger dogs. Priced at $59.95, it’s a great deal compared to other dog immunity boosters we’ve seen on the market. 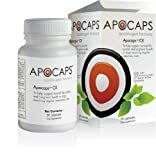 Immune Support Mushrooms Blend (600 mg) of: Certified organic mycelliu, and fruiting bodies of Lentina edodes, Grifola frondusa, Corlolus versicolor, Agaricus blazei, Cordyceps, Ganoderma lucidium, Ganderma applanatum, and Ganoderma tsugae. He’s 9 but hardly shows his age. By the time we finished Wyatt’s jar of Armor-Up, we observed a noticeable difference in his outward appearance. His eye goop is gone and the fur around his eyes has grown back. 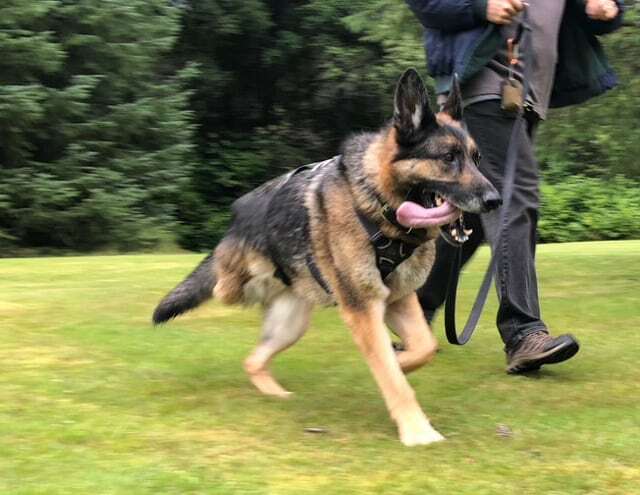 This could be the result of fewer seasonal allergens in the air, but it may also indicate that the immune system boost he got from Armor-Up enabled him to return to optimal health a lot faster than without it. Either way, he looks great and we’ll continue giving it to him. There are many things we wish we could do for Wyatt’s health but cannot. Namely, making home-cooked dog food in our tiny dog house on wheels. 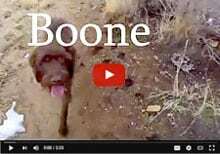 Giving him the daily immune system boost with Armor-Up is the best way we know how to protect his immune system while feeding him a commercial diet. Armor-Up will always be a key ingredient in every meal he gets. Can You Give Your Pet People Supplements? How awesome! Going to give it a try on my dogs! Thank you for the review. Wyatt looks fabulous! Thanks for the great article. We love you guys! And Wyatt loves you as well! So do we. Thanks for all you do to make our doggies’ lives healthier!